“If we are forced to go we will commit suicide by drinking poison." Two weeks ago the governments of Bangladesh and Myanmar deemed it safe to start repatriating Rohingya refugees to their home country. More than 2,000 refugees were put on a list, without their knowledge, processed and then were told that the conditions were right to send them back. Having escaped brutal torture and persecution at the hands of the Myanmar authorities, which the United Nations described as a “textbook case of ethnic cleansing,” the vast majority are petrified to return. A recent UN report describes a campaign of systematic violence conducted by the Myanmar military with an estimated 10,000 people, including children, killed and brutalized in gang rapes and enslavement when the violence escalated in August 2017. The bulk of these refugees fled to Bangladesh during that time. (Salman Saeed) The Unchiprang refugee camp in Cox's Bazar, Bangladesh, seen in Nov. 2018, houses thousands of Rohingya refugees. 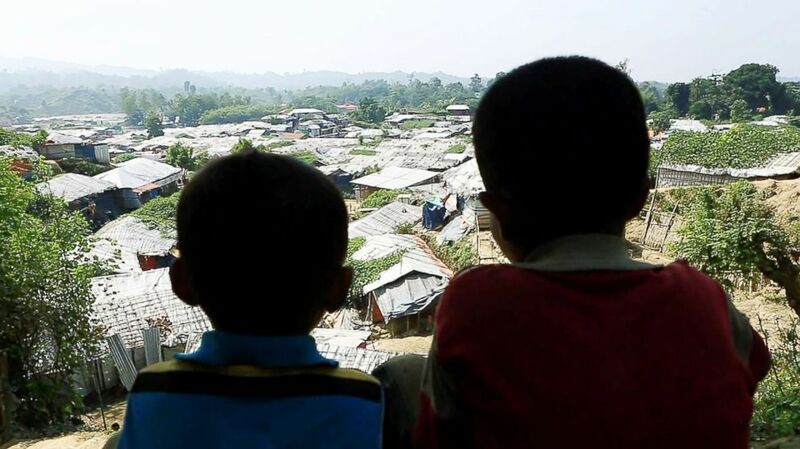 “When we heard our names were on the repatriation list, we were very scared,” Noor Alam told ABC News at the Unchiprang refugee camp in Cox’s Bazar, a coastal town in the South East of Bangladesh where all Rohingya camps are spread out. Alam, 30, is from Rambibi Village in Maungdaw, Myanmar. Many of the refugees went into hiding after discovering they were on the list. (Salman Saeed) Thousands of Rohingya refugees live in the Unchiprang refugee camp in Cox's Bazar, Bangladesh, seen in Nov. 2018. “We all fled from this camp and hid in a place called Leda for five days. From Leda we moved to Kutapalong,” Alam said. He, his wife and five children went into hiding for eight days. 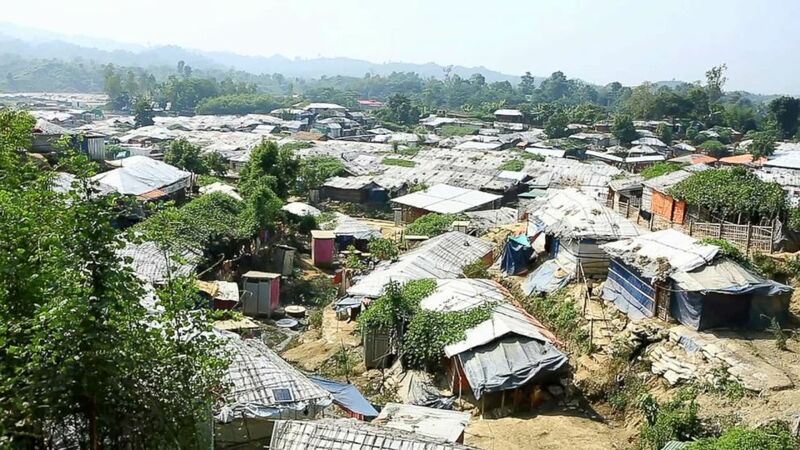 The Bangladesh government has been looking for a solution to tackle the number of refugees that are now living in camps across Cox’s Bazar, which the government says exceeds 1 million. 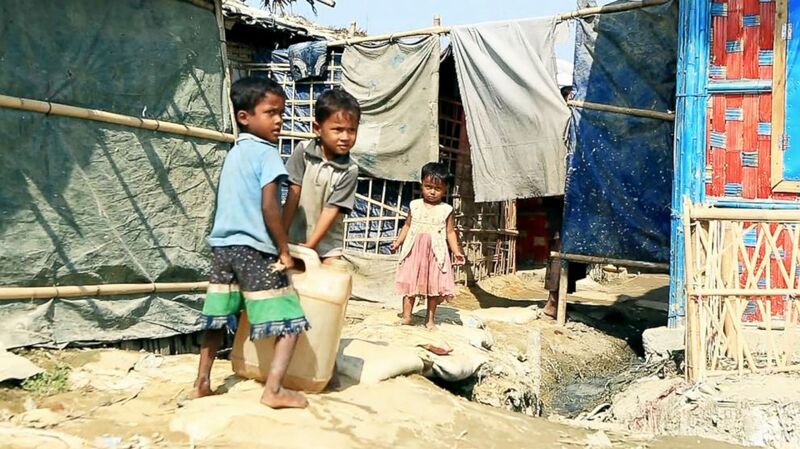 (Salman Saeed) Children collect water at the Unchiprang refugee camp in Cox's Bazar, Bangladesh, Nov. 2018. “What we are trying to do now is to repatriate the first batch and once they go there then that will have a salutary effect on the others,” he added. Not a single Rohingya, however, has volunteered to go back. Bangladesh has asserted that it will not forcibly return any of the Rohingyas to Myanmar. Nearly all Rohingyas fear for their safety and do not trust how they will be treated by authorities in Myanmar if they were to return. Omar Faruk, a refugee at the Chakmarkul camp, called his grandfather, who was not able to escape from Myanmar. “The situation is not safe, things are bad,” he said. (Sohel Uddin) Omar Faruk, who lives in Bangladesh's Chakmarkul camp, called his grandfather in Myanmar to check on his safety, in Nov. 2018. His grandfather told him that the rest of the family could not really leave the compound they are living in; they would be fined and thrown into prison for not being able to pay the cost. In the last six months his grandfather's area has received only two food drops from agencies which they ration to one meal a day. Faruk said Rohingya Rights in Myanmar are still non-existent. 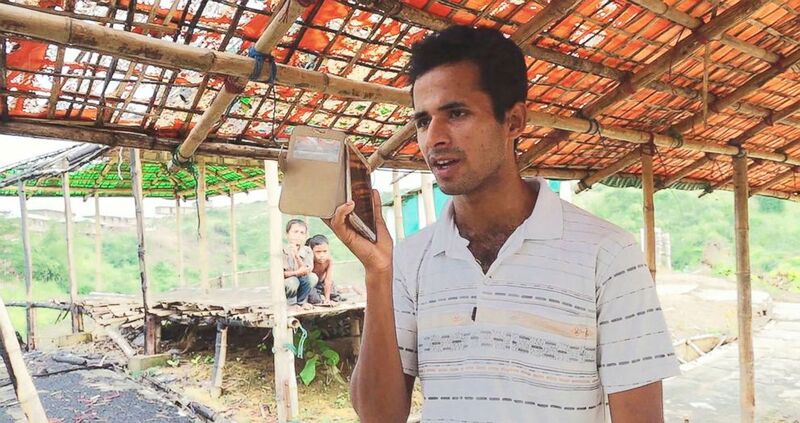 Jamel Hosen saw both his parents and a younger brother get slaughtered by the Myanmar military and escaped to Bangladesh with his family of eight. His trauma amplified when he discovered his family was on the repatriation list. 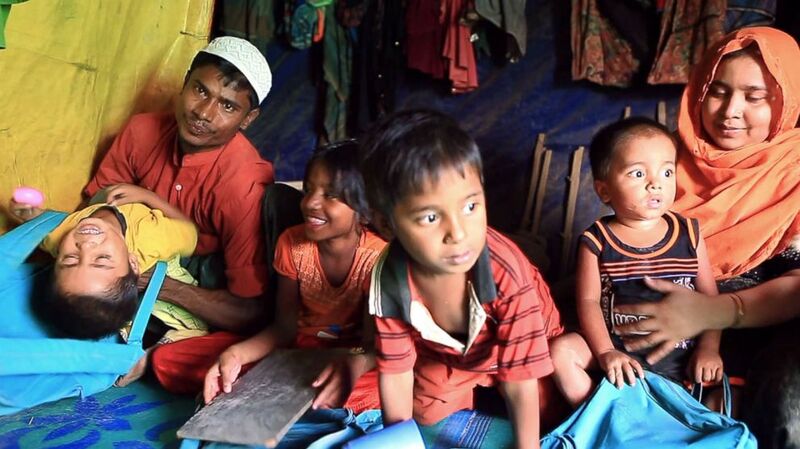 (Salman Saeed) Jamal Hosen with his family in their shelter at the Unchiprang refugee camp in Cox's Bazar, Bangladesh, Nov. 2018. It was Myanmar’s denial of their status and hatred of their ethnicity that has forced them to become refugees in Bangladesh. Salman Saeed contributed to this report.